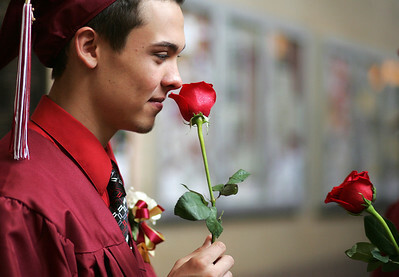 Kyle Grillot - kgrillot@shawmedia.com Graduate Travis Knigge smells his rose before the start of the Richmond-Burton Community High School commencement on Sunday, May 26, 2013. Kyle Grillot - kgrillot@shawmedia.com Graduates Kira Hewlett, Andrea Fox, and Jasmine Garner look to find where they are supposed to be before the start of the Richmond-Burton Community High School commencement on Sunday, May 26, 2013. 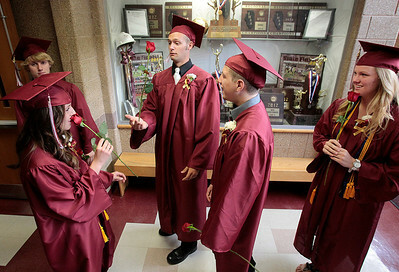 Kyle Grillot - kgrillot@shawmedia.com Graduates Charlie Glavin, Jasmine Garner, James Galla, Rudiger Freiberger, and Andrea Fox fool around before the start of the Richmond-Burton Community High School commencement on Sunday, May 26, 2013. 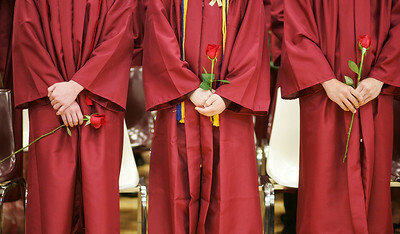 Kyle Grillot - kgrillot@shawmedia.com Graduates wait for the start of the Richmond-Burton Community High School commencement on Sunday, May 26, 2013. 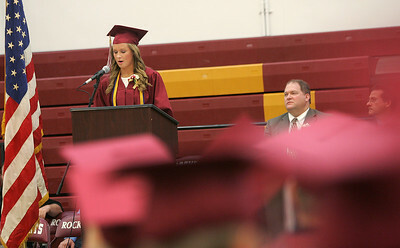 Kyle Grillot - kgrillot@shawmedia.com Class President Jordan Eisenberg gives her speech during the Richmond-Burton Community High School commencement on Sunday, May 26, 2013. 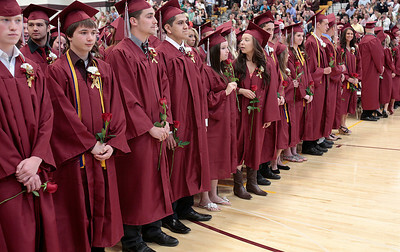 Kyle Grillot - kgrillot@shawmedia.com Graduates take to their seats during the Richmond-Burton Community High School commencement on Sunday, May 26, 2013. 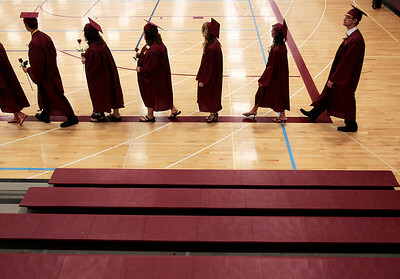 Kyle Grillot - kgrillot@shawmedia.com Graduates enter the gymnasium before the start of the Richmond-Burton Community High School commencement on Sunday, May 26, 2013. Kyle Grillot - kgrillot@shawmedia.com Graduates Charlie Glavin, Jasmine Garner, James Galla, and Rudiger Freiberger fool around before the start of the Richmond-Burton Community High School commencement on Sunday, May 26, 2013. 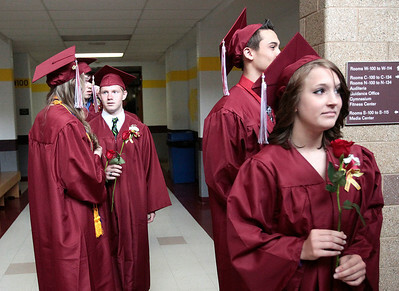 Kyle Grillot - kgrillot@shawmedia.com Graduates gather in the hallways before the start of the Richmond-Burton Community High School commencement on Sunday, May 26, 2013.